Many people see the kitchen only as the place where you can cook and eat, leaving the option of the room being properly decorated. Details matter, so even if you pick the smallest of decorations, it can add a change to the way your kitchen looks. In this article we are showing you ten wonderful, DIY projects that can make any kitchen look adorable. There’s something so simple like placing all your favorite photos on the fridge, or something a little bit more complicated (but equally wonderful!) like making your own wooden cup holder. 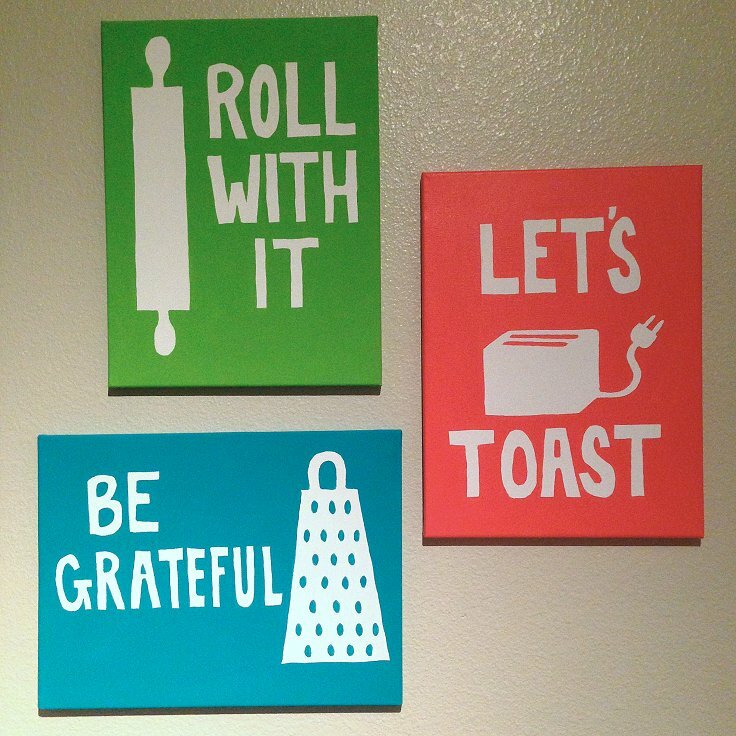 Scroll below and let us know which of these decorations you would like to have in your kitchen! These boards don’t serve only as a cutting place! In fact, with a little effort and creativity, the ordinary cutting boards can be easily turned into wall art. 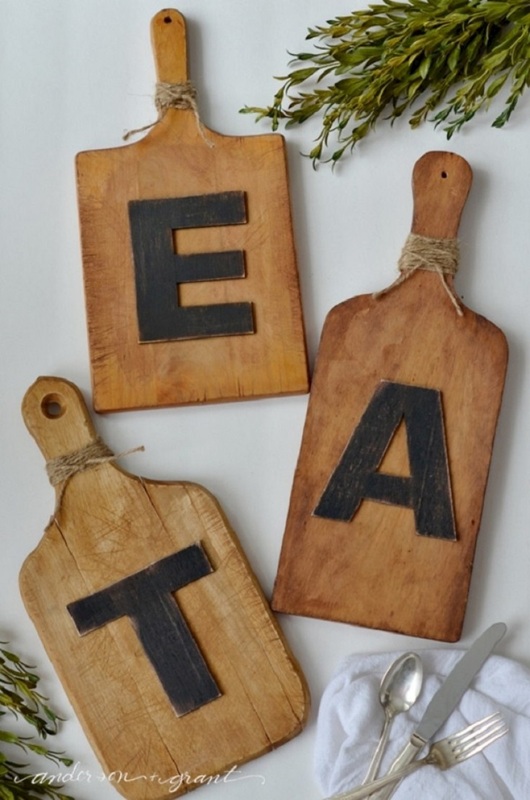 To make your own wood wall art, you need wood cutting boards, wood letters, paint, glue and jute twine. All materials are easy to purchase and you can buy the wood letters in a craft store or online. If your cutting boards are new and you want them to look a little bit more rustic, then just keep on cutting all over them until you get the “old” look. Paint the letters in any color you want and just glue them onto the boards. Wrap twine around the neck of each handle and you’re done. and two part epoxy glue. Are you in love with your memories? If that’s the case, having them in your kitchen where you can look at photos while you cook or clean can be so nice. 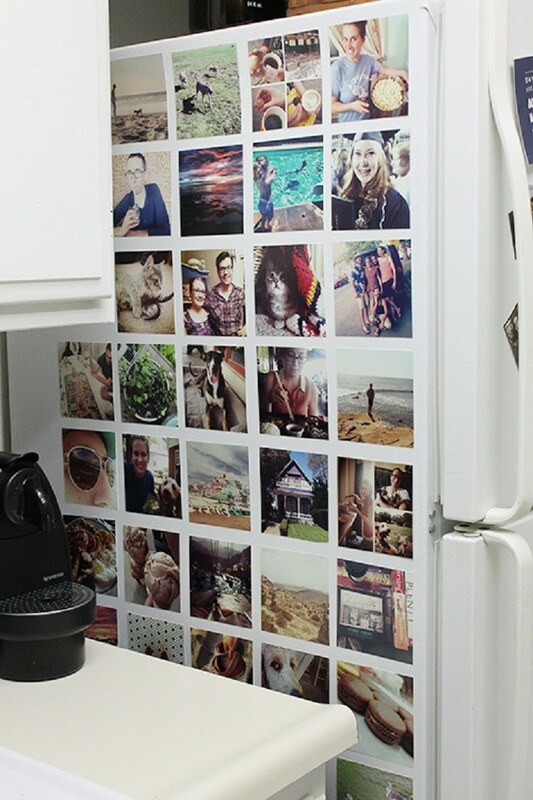 Instead of framing pictures, you can get a little more creative and use the fridge for this. First, you’ll need to clean the fridge and then tape up photos in grid, leaving one or few centimeters between each. It’s really easy and won’t take much of your time, yet it will be an amazing decor to your kitchen. Having colorful photos can be such a nice contrast if you’re kitchen is mostly white or other color. Next time when you’re about to throw away wine glasses, think about what you can do with them and transform them into your new kitchen decor. It’s a very simple tutorial that will look like as if you bought these from a store! 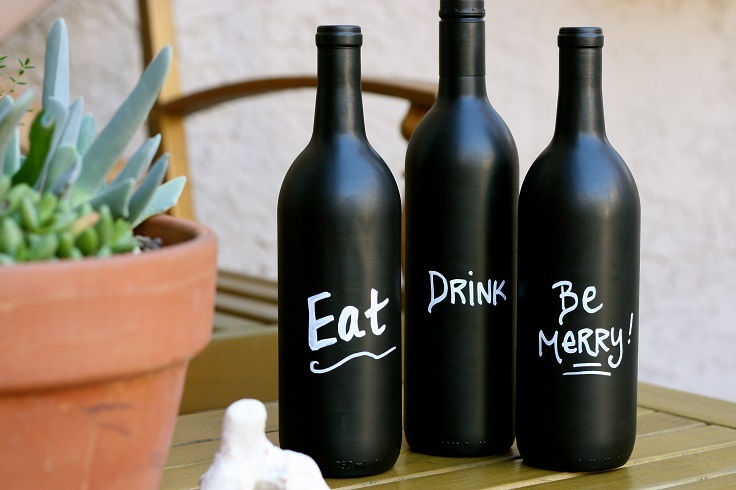 You’ll need regular wine bottles, flat paintbrush, chalkboard paint and chalkboard marker. First clean the bottles and scrap off the label (or leave it for extra texture). Clean the bottle and apply few coats of chalkboard paint with leaving some time in between each coat so that it can dry well. 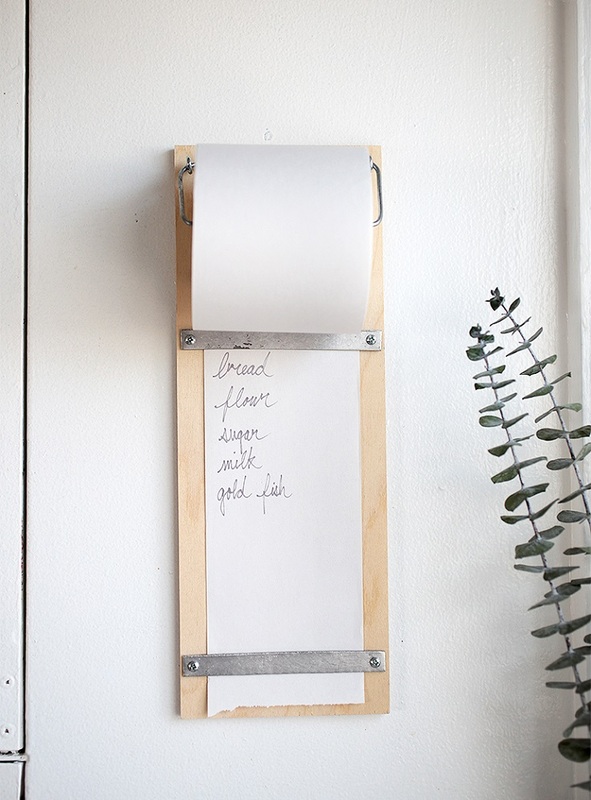 After this, write whatever you want, but since it’s the kitchen decor we’re talking about, it’s better if you write something that will fit the kitchen perfectly. Writing things down can help us get more organized and stop forgetting things! Also, keep everyone notified about what will be for lunch the next day. Having a menu board comes with many benefits, with one of them being a great kitchen decor. You’ll need plywood, wood coasters and frame pieces. You will also need a chalkboard paint for the plywood and paint in any color by your choice for the frame. You can add the coasters and write down the days of the week, or you can just leave it out and write down right away the menu of the week. Have fun! What’s better than having your coffee cup at hand immediately? There’s no way that these cups only belong in the kitchen cabinets! Instead of them, make your own cup holder and hang them there. Here’s what you need: pallet, hooks and screws, paint, letter stencils, sponge brush (which is optional), sandpaper, right angle ruler, ruler or tape measure, pencil, safety glasses, circular saw, cordless drill and screwdriver. 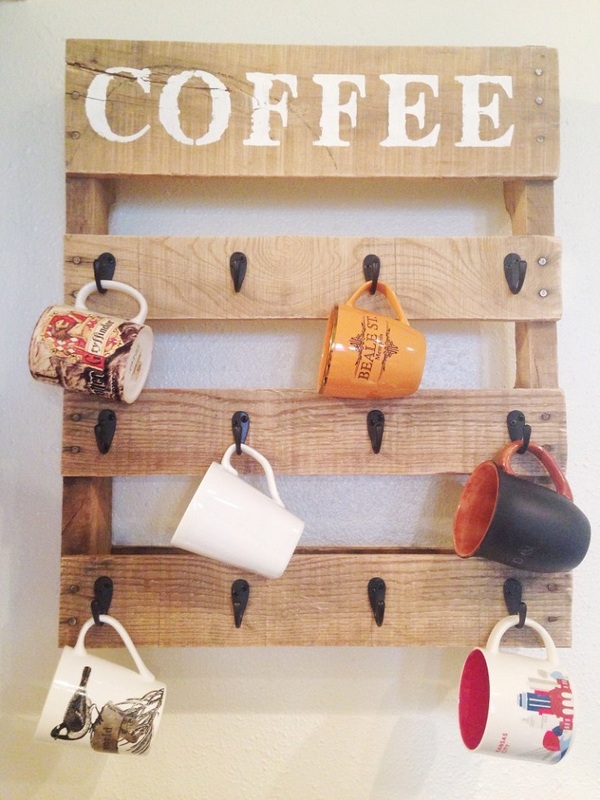 Of course, if you want to you can paint the whole holder and write something more than just coffee. But even that way, the message is clear! Did it happen to you to mistake salt for sugar and vice versa? Or you have so many spices that you keep losing somewhere in the kitchen? These things really can go on our nerves, so to save ourselves from a kitchen breakdown, being organized is the best cure. To make it even more adorable, practical and keep it budget – friendly, the best way to achieve that level of organization is to put a label on it! 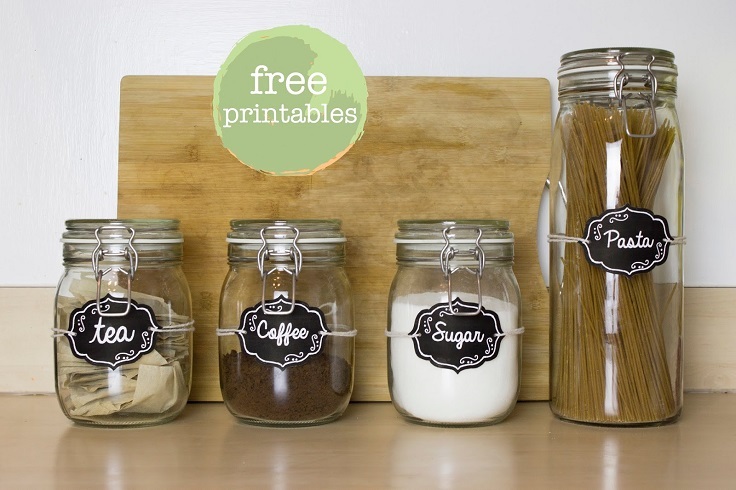 So, for this project you just need jars, put your supplies inside and stick a label with the name of the supply. If you want the same as those on the picture, just go to the website below it. 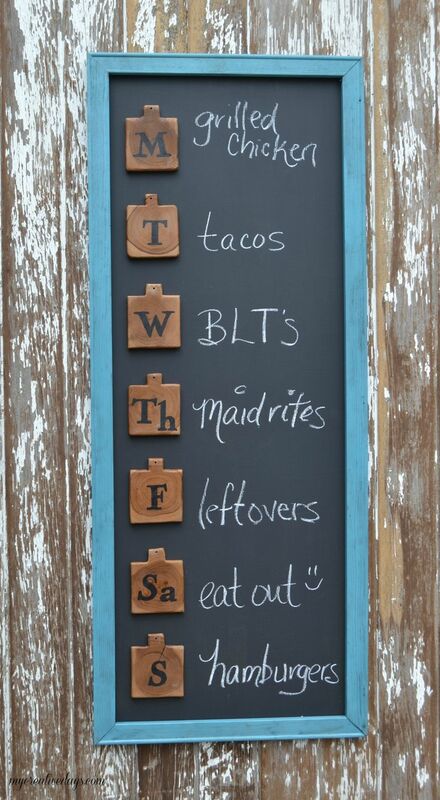 You’ll be so surprised at how many wonderful DIY projects can be made just by using chalkboard paint! It doesn’t have to be something expensive – looking, it can be something just as simple as few planters with herbs inside. They totally fit the kitchen atmosphere and it’s great when you grow things on your own. 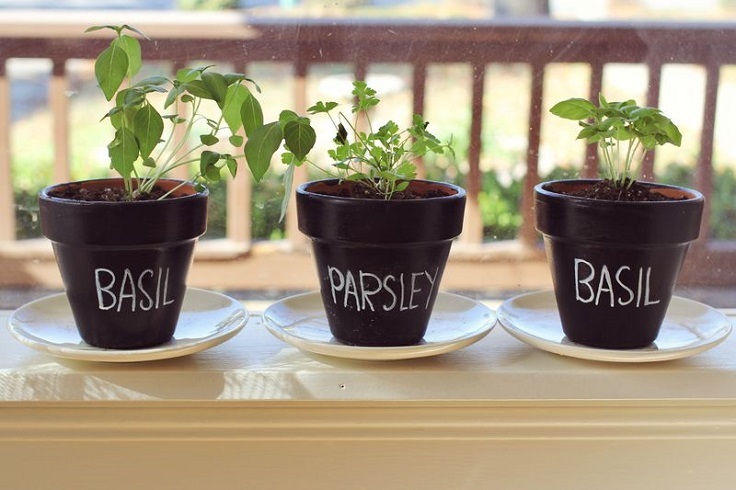 Plus, your kitchen is going to smell amazing thanks to this indoor herb garden! So, what you’ll need is just a planter, chalkboard paint, chalkboard marker or regular chalk, soil and herbs to plant. Pun fun is always welcome, especially if it’s that cute! You need canvases, acrylic paint, paint brushes, pencil, ruler and painter’s tape. It’s so easy – first write down the puns on the canvas with a pencil. When you finish it, start painting and for the tricky places use a smaller brush. If that’s too much for you, try using a painter’s tape. Wait for the paintings to dry and hang them in your kitchen. 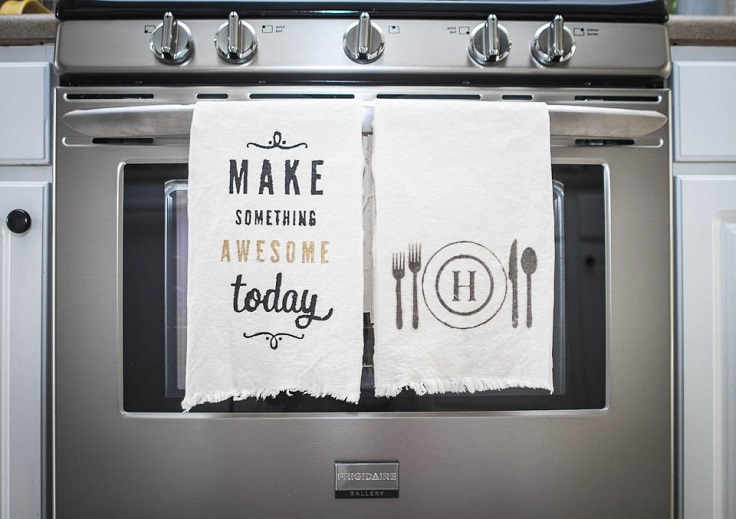 Tea towels are a must for every kitchen, but if done the right way, they can serve as a decoration at the same time. To make this project, you will need a fabric and cut it down to the wanted size. You should also measure how large you want your designs to be. Set up your own design or go to the website and download the one from the picture below. Place a freezer paper on mat with the shiny side down and cut and weed the designs. Next step is ironing the freezer paper stencil onto the towel with shiny side down and paint it. If you want to, you can also add fabric paint mixer to the paint.